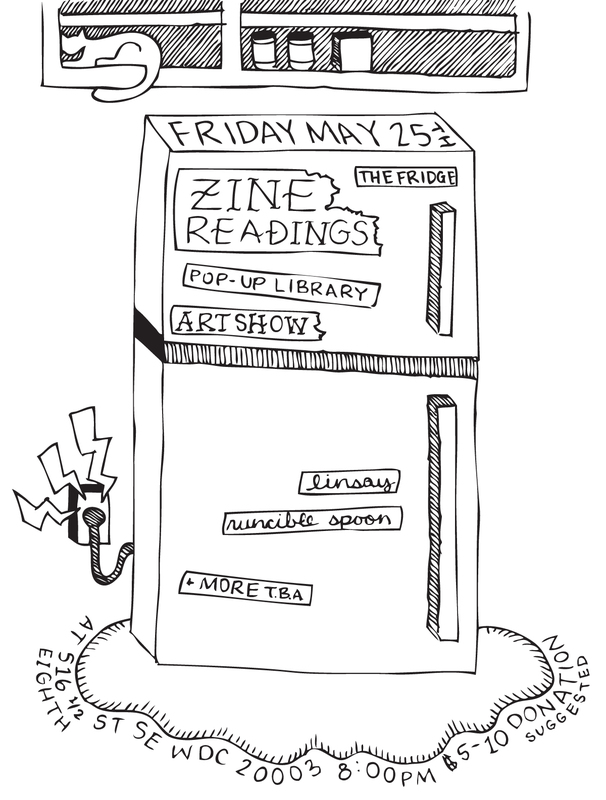 Pop-up Zine Event at the Fridge Gallery! DC Zinefest is teaming up with the Fridge to bring you its famous popup library, zine readings, and a popup art show of zinesters from near, hither, and yon. On May 25th at 8 pm! Let us know you’re coming on Facebook? At $5, it’s a steal! Come Support this amazing venue and the fest.